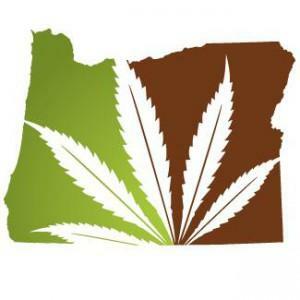 Last Friday, Oregon activists organized as the New Approach Oregon political action committee filed a marijuana legalization initiative with the secretary of state's office. Unlike the initiatives filed this year by Paul Stanford, author of 2012's failed Measure 80 legalization initiative, this one has picked up the backing of deep-pocketed donors. Last month, the new initiative picked up contributions of $32,000 from Progressive Insurance founder and marijuana law reform funder Peter Lewis and $50,000 from Drug Policy Action, the lobbying arm of the Drug Policy Alliance, the secretary of state's office reports. Since the spring, the effort has also received $38,500 in cash contributions from the American Victory Coalition, an Oregon-based federal nonprofit that opposes the war on drugs, among other issues. Oregon has been widely touted as one of the states most likely to join Colorado and Washington in having legalized marijuana at the ballot box. This new initiative, with broad support within the state's activist community and financial support from major outside donors, increases the likelihood that Oregon will indeed free the weed in 2014. I like that logo, give the designer lots of credit. The state shape is like a more abstract leaf shape hidden behind the rieferlieaf. "Hand" plus "Leaf" ~ "Hanf" (foreign word for guess what). The HAND (even more than Hund) is stand-legged hominoid's best friend. But: "Canis" as in "dog", "Cannabis" as in "dagga". I don't have scanner tech at this library computer, if I did those word comparisons would be paired with a cartoon showing a cannabis leaf and the face of a fierce German Shepherd. Oregon will be famous for this victory if it happens, as it already is for its Oregano. The effort to legalize isn't going away for the State of Oregon isn't going away anytime soon, nor should it.